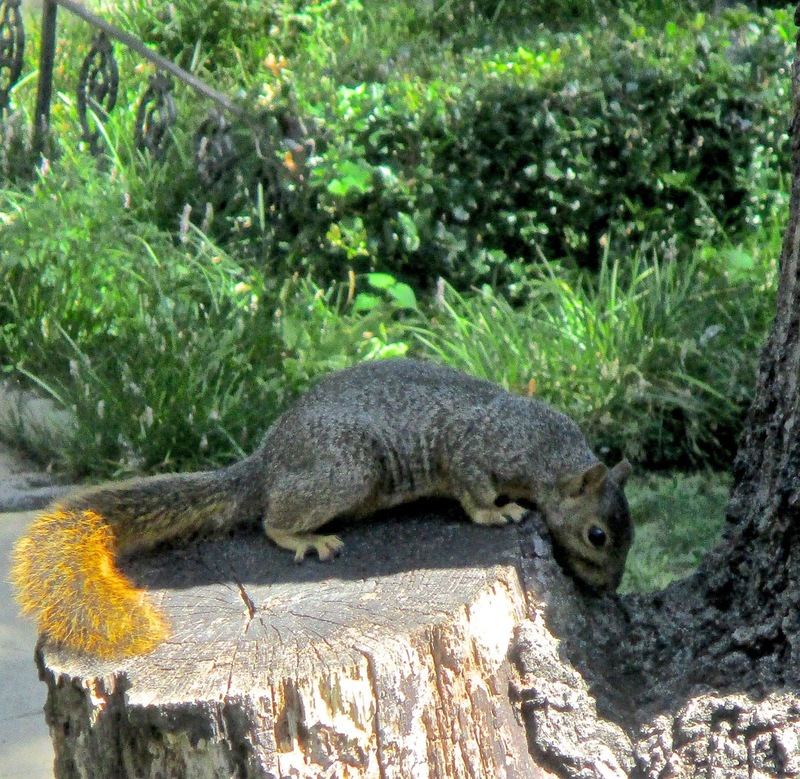 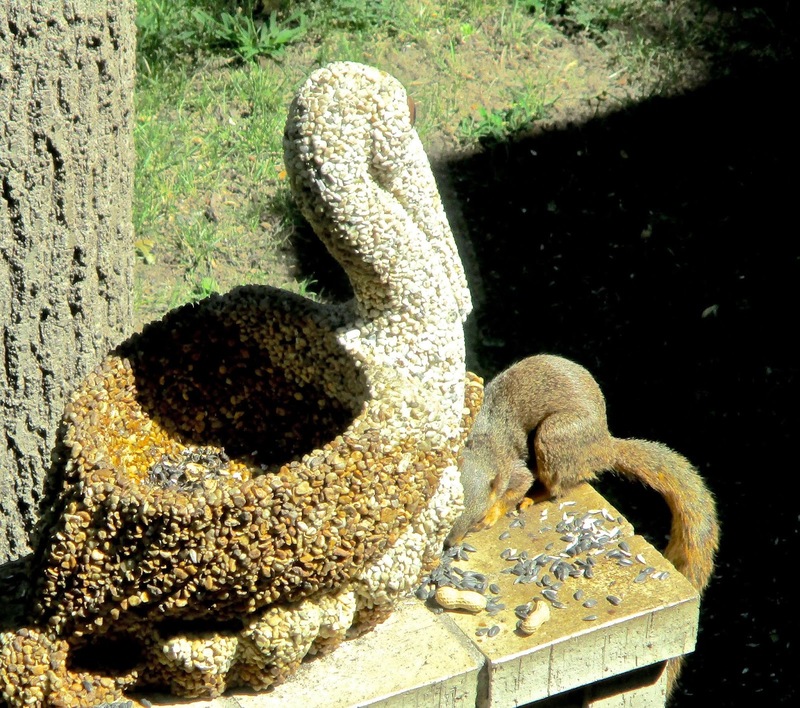 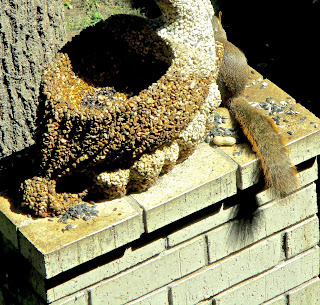 Squirrel pretty warm. . . 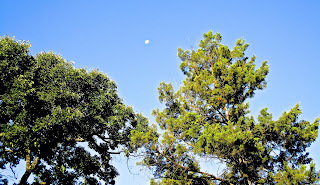 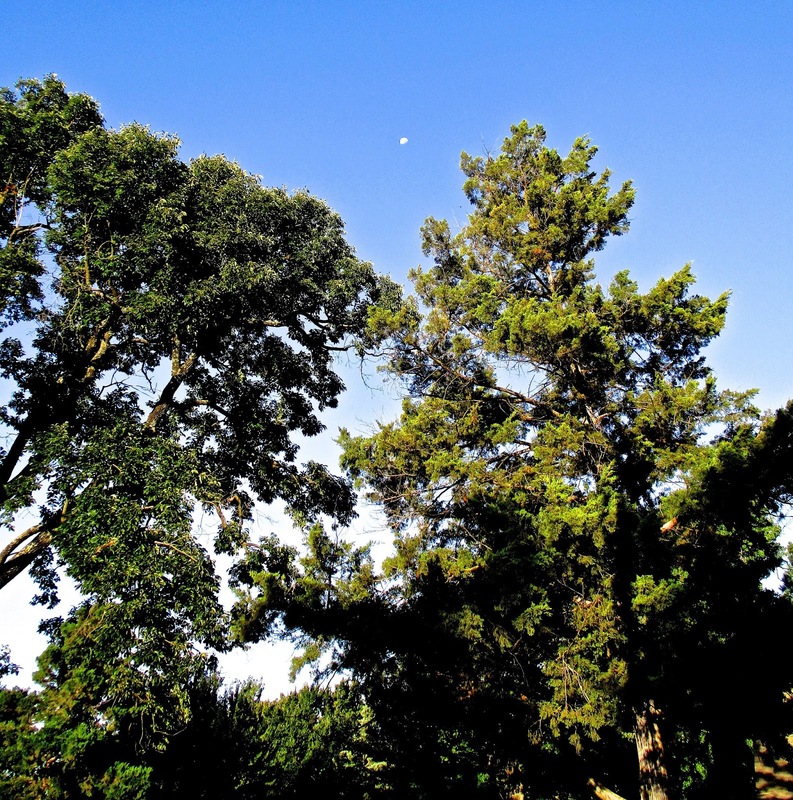 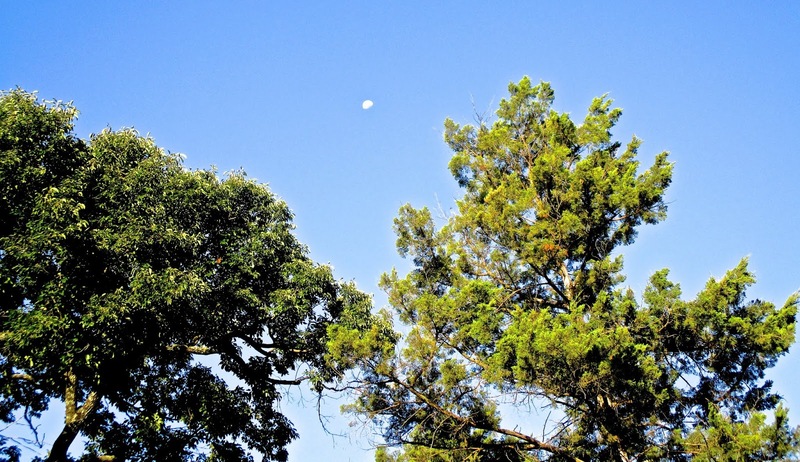 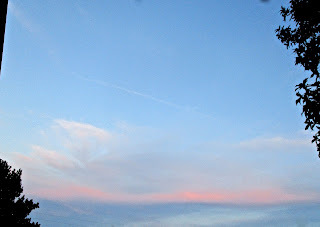 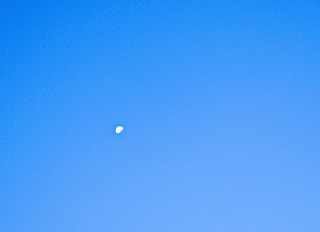 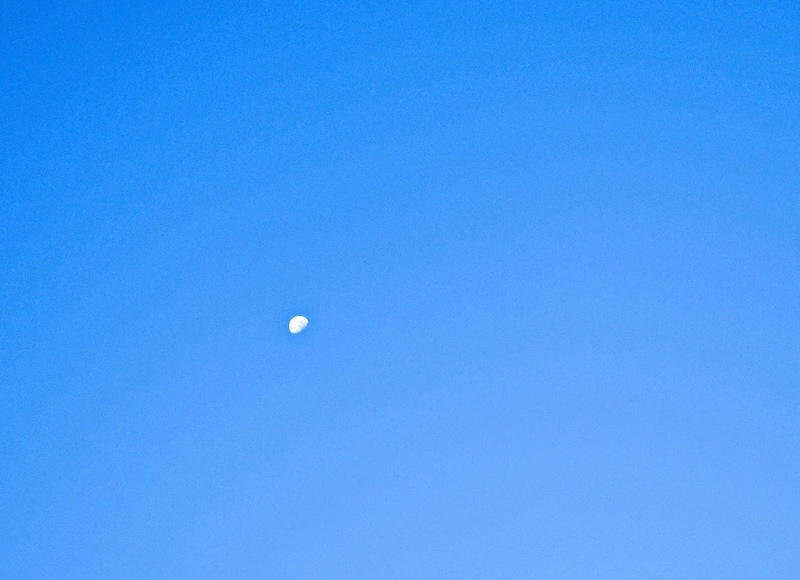 Moon out today. . .Blue Sky. . Trees. 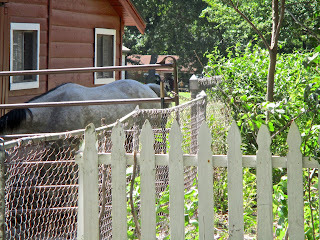 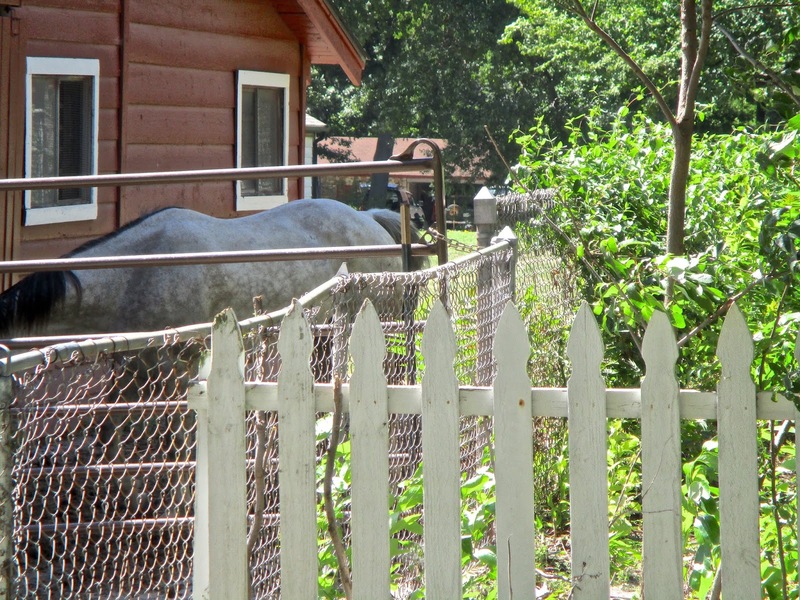 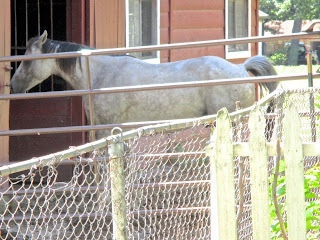 Gray Horse outside. . .goes into Barn.